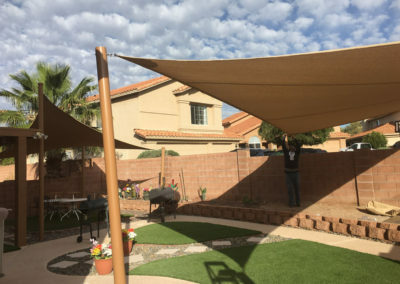 Do you want to cover your patio in style? 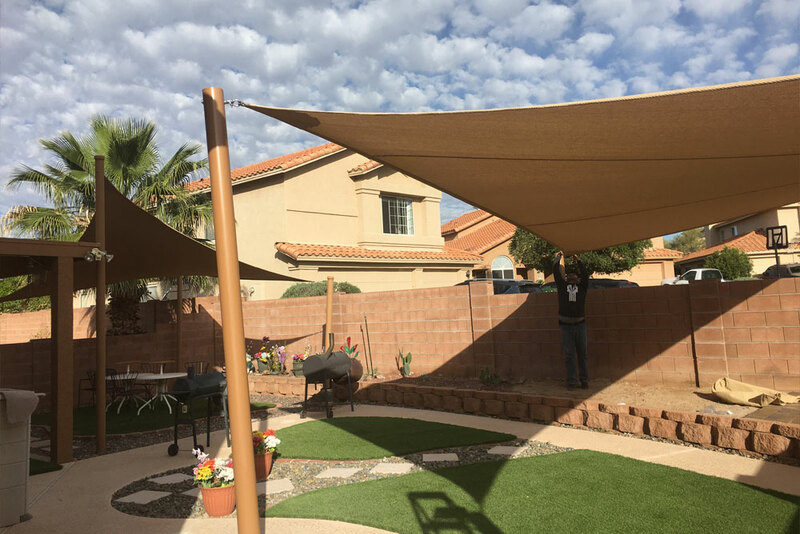 If you’re in need of some extra shade, customized shade sails from A New Creation could be the perfect addition to your backyard area. 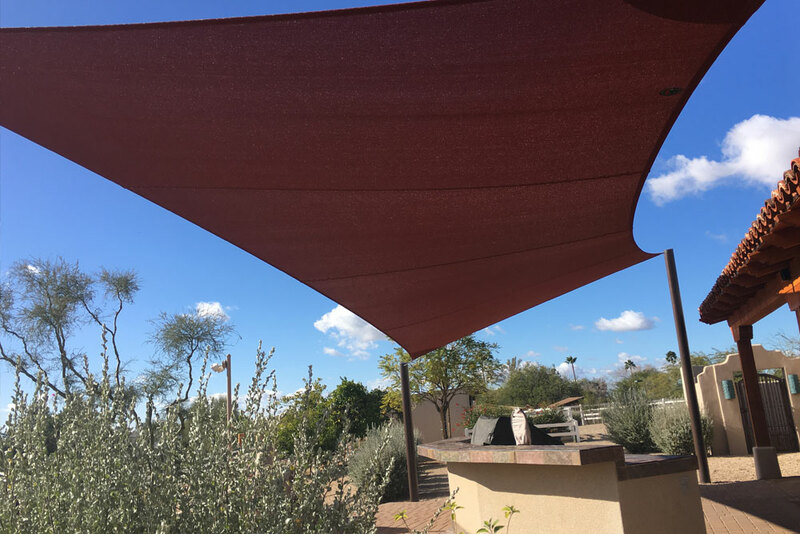 We can design a unique shade sail to your specifications, so you can be sure that it will match the size and style of your outdoor area. 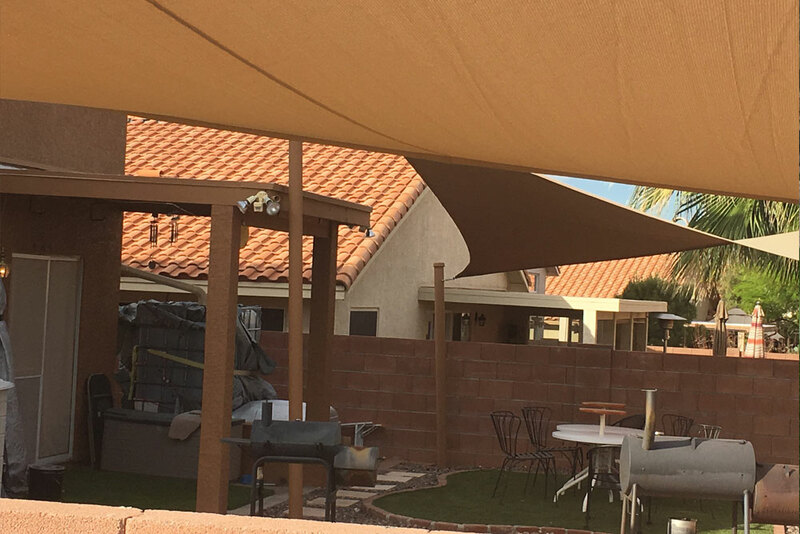 Our shade sails are made from high-quality fabric, so they’re designed to hold up to the elements and provide you with solid service for a long time. 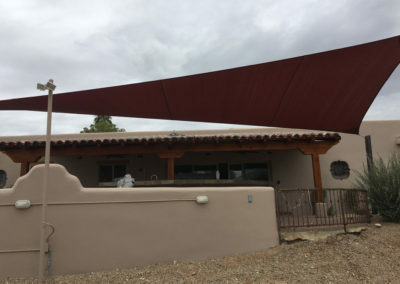 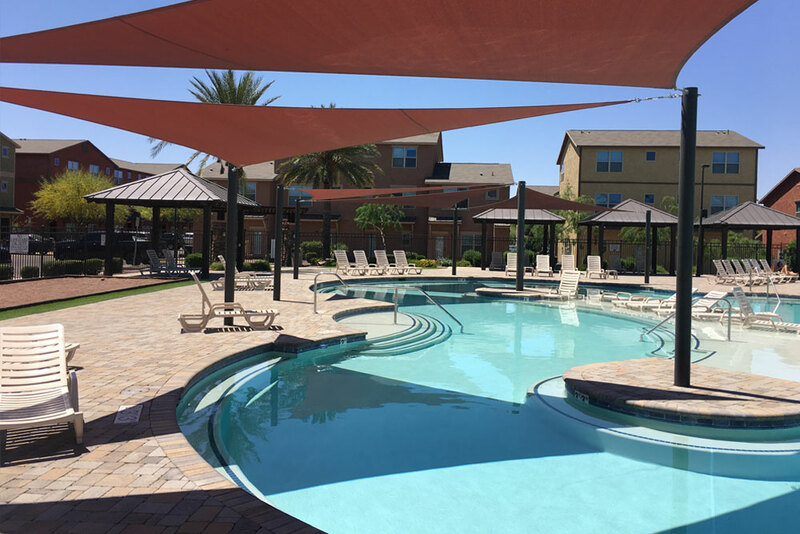 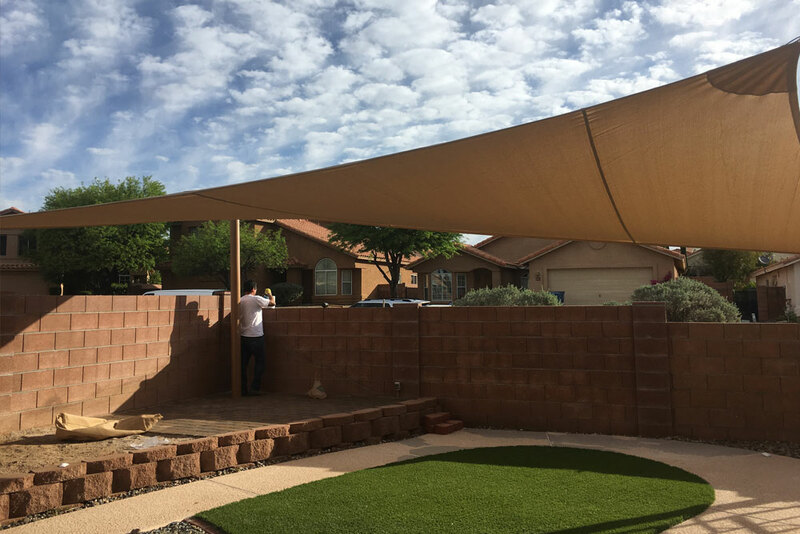 If you’re looking for shade sails that are durable, beautiful, and affordable for your Southern Arizona home, it’s time to give us a call. What Are the Benefits of Using Shade Sails? 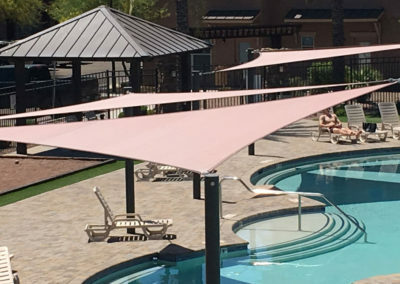 Shade sails are large shades made of polyethylene fabric. 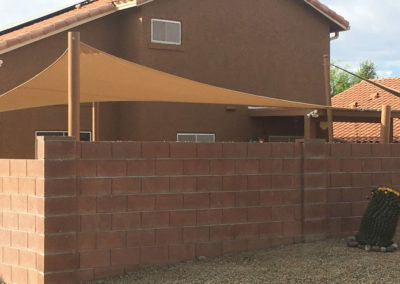 They are usually shaped like squares or triangles, and they are most often used to provide shade for outdoor areas. 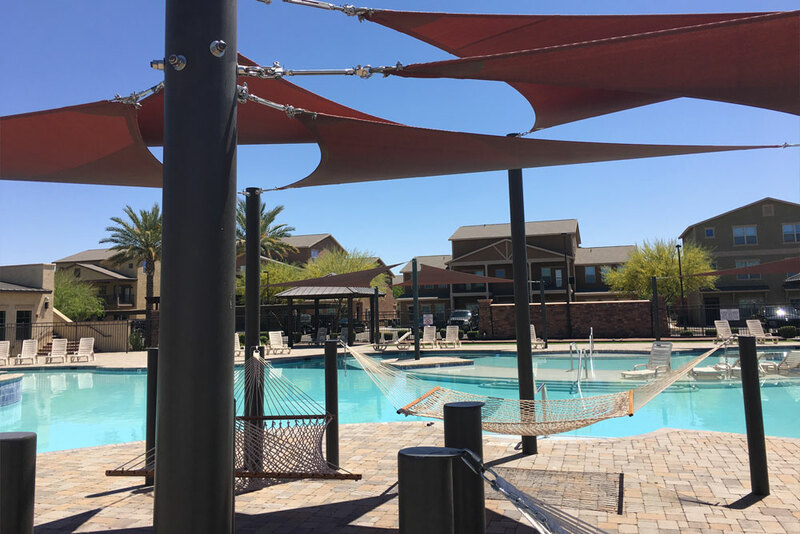 Like the sails on ships, shade sails are fastened down at multiple points, so they’re unlikely to fall or blow away in the wind. 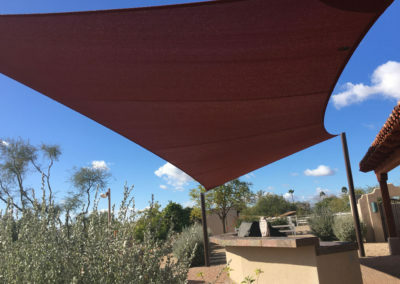 They are also highly versatile, so you can use them to provide you with shade almost anywhere. 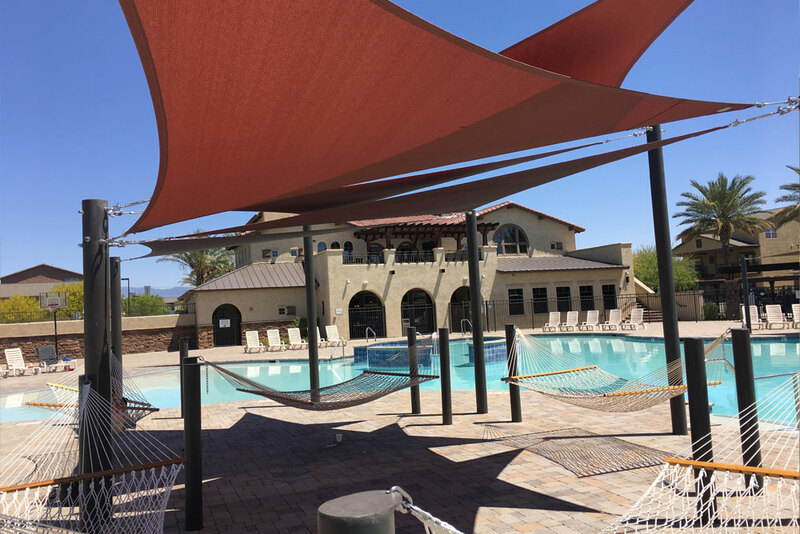 In addition to offering reliable shade, modern shade sails are designed to be highly UV-resistant, so they will not be damaged by long-term exposure to the sun. 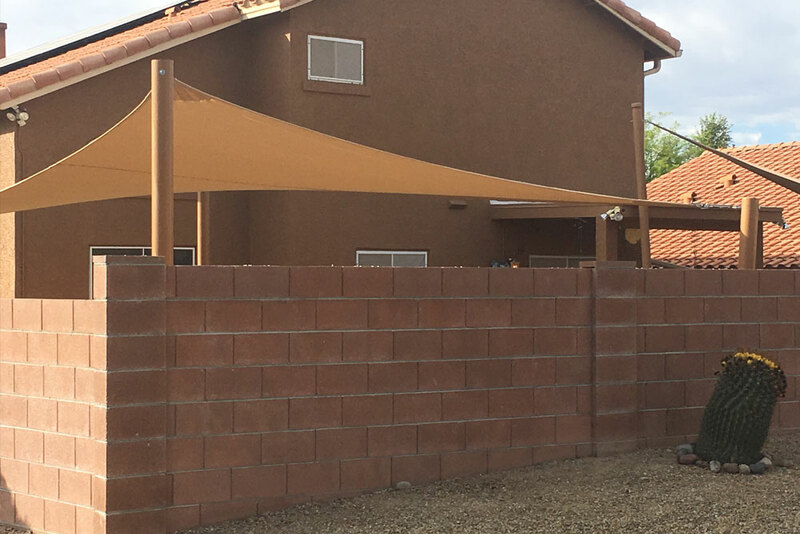 Since they’re made of strong knitted fabric, they can stand up well to continual use. 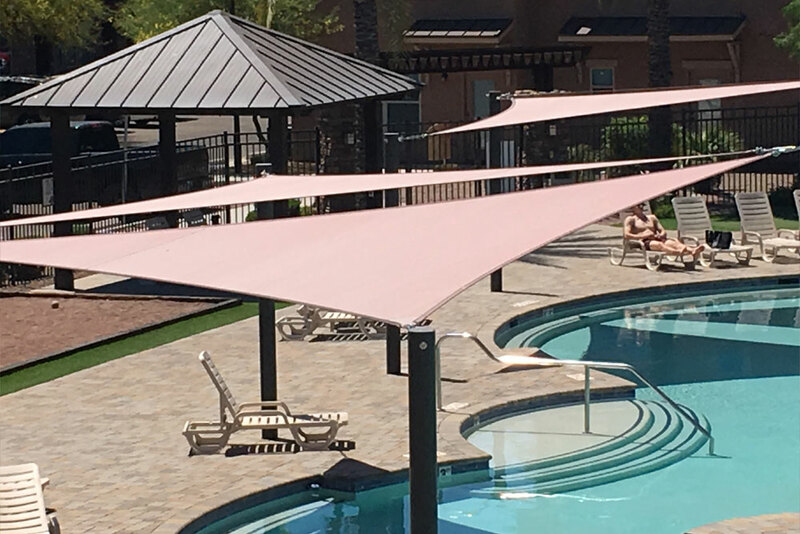 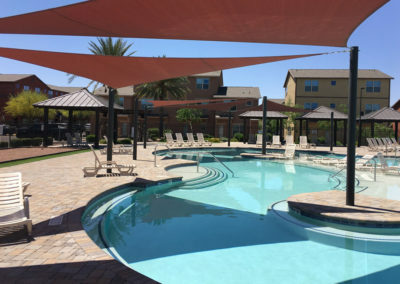 As a bonus, today’s shade sails are made in a wide array of different colors, so you can use them to add a distinctive touch to your outdoor area. Whether you want to use a shade sail to cover your entire yard or a small corner, our team will be happy to help you find the right one for your needs. Where Can Shade Sails Be Used? 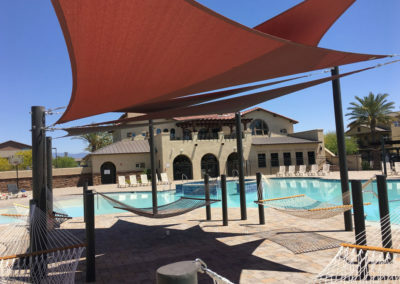 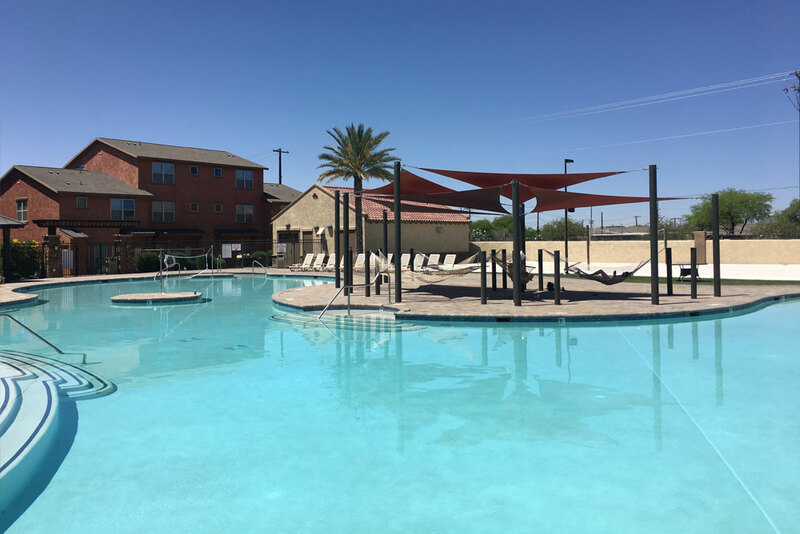 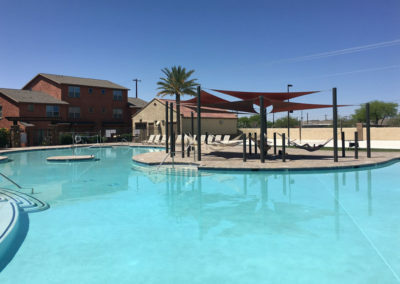 When you’re living in a beautiful place like Southern Arizona, you should be able to enjoy the great outdoors anywhere—including in your home. 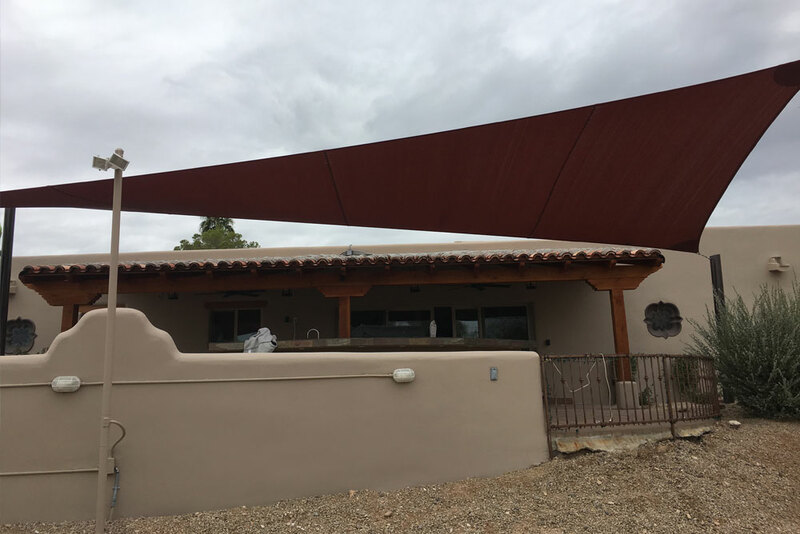 At A New Creation, we specialize in creating gorgeous outdoor spaces for our clients in and around Tucson. 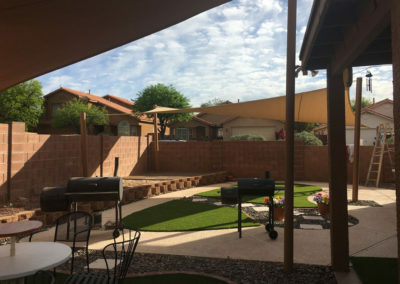 Our landscaping experts can incorporate elements like fire pits, putting greens, and turf lawns to give you the backyard makeover you deserve. 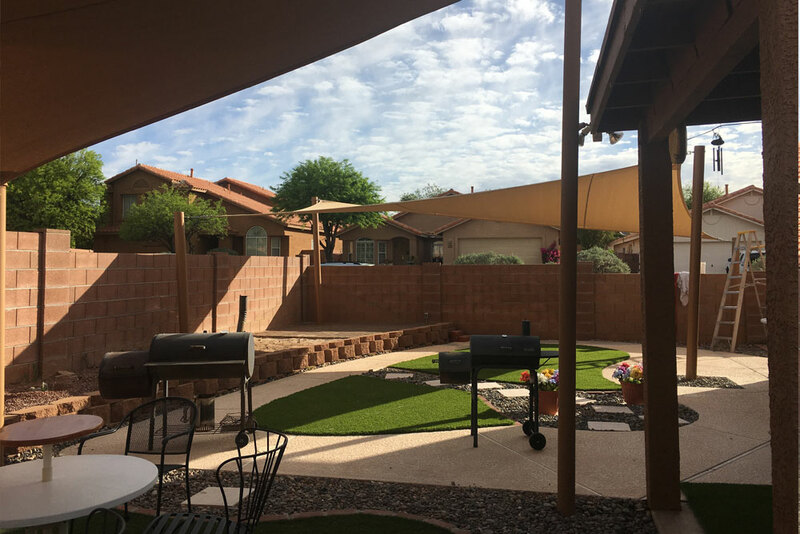 To start designing your dream landscape today, call (520) 730-3299.